Appen is an award-winning language technology solutions and consulting firm. The business process outsourcing company creates a better experience for customers by improving search engines services. These services include; data collection, data annotation, search relevance evaluation, social media evaluation, transcription and linguistic consulting, teaching and more. They also manage social media platforms of e-Commerce companies in different industries thereby expanding them into global markets. 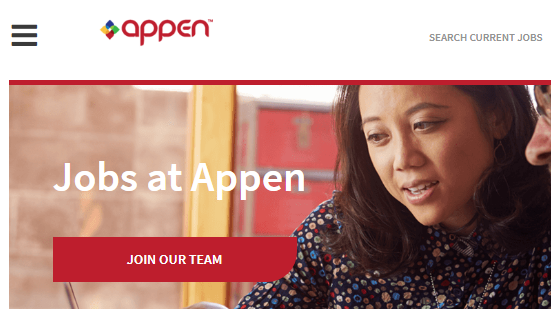 What is work like with Appen? With over 400,000 agents and independent contractors in more than 130 countries working with more than 180 languages and dialects, Appen ramps up their clients and teams so they can respond to ever-changing customer needs. 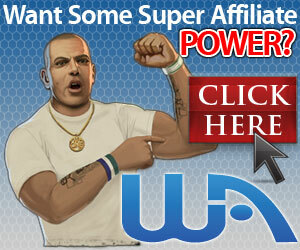 Many of the company’s existing employees have the option to work from home or any location worldwide. However, there are large number of freelance or independent contractor positions that are home-based. These include jobs in Search evaluation positions which require minimum of 4-5 hours per day during the week. People use their social media skills to earn more income through Appen Social Media Evaluation positions. The social Media Evaluation allow so much flexibility where agents are allowed to work anytime that seem convenient for them but must be sure it totaled 20-25 hours a week. Many of the independent sit at home contracting positions such as data annotators, translators, Search evaluators get paid hourly. Average Appen hourly pay ranges from approximately $12.10 per hour for Independent Consultants to $30.00 per hour for Data Collectors. Researchers earn approximately $84.59 per day on the average, Search engine optimization position average daily wage is $50 and $95.00 per day for English Teachers. Crowdsourcing projects are paid at a rate per hit, which varies (Crowdsourcing, Appen uses to describe its micro jobs). Payments of $50 minimum are made on a bimonthly basis though the company claimed top Crowdsourcers can make up to $23 an hour. Appen recruitment qualification vary for different positions. Translation positions often require college degree and language-related positions require some test of your language abilities. For search evaluation jobs you must be “a native or near native speaker” in the required language. Many of the company’s independent contractors are fluent in one or more of the 120 languages and dialects it works wwith including Arabic, Bahasa Indonesia, Cantonese, Catalan, Croatian, Dari, French, English, Gallego, German, Greek, Gujarati, Haitian Creole, Hebrew, Icelandic, Kannada, Kazakh, Kermanji, Somali, Spanish, Swedish, Tagalog, Tamil, Telugu, Urdu, Vietnamese, Xiang etc. Besides these qualifications, there are other technical requirements that must be met. Work-at-home agents must provide a computer that is less than three years old, stable high speed internet connection with antivirus software. You must have a personal computer that is dedicated to this job and it should run on an OS not older than Microsoft Windows Vista or Mac OS operating system. (No tablets are allowed). A microphone that uses VOIP is required in some projects. After the application which involves giving your personal details and internet references (social media references), it may take several weeks before you get a reply directing you to the next step. Selected applicants are required to undergo a compulsory free training process that may take up to 25 to 40 hours of commitment over one to three weeks when recruited. Named as one of top 100 Companies offering flexible jobs since 2014, 2015,2016 and 2017, Appen offers exciting short-term and full-time work from home opportunities and corporate opportunities across the globe. It has a great reputation and they are known to pay their contractors on time.